eldest son of Atul Chandra & Labonyaprobha Ghosh. He was brought up in an environment of freedom fighters at Shilpashram, Purulia. British government jailed him several times during the period 1930-47 for different agitations like “Pataka-Satyagraha” (Konapara), 26th January Celebration (1932) etc. He was a student in Shantiniketan under the tutelage of Great Master of Fine arts, Nandalal Bose – left study to join Salt Movement. After independence, he again came to forefront in “Language Agitation’ (BHASA ANDOLON). Under his leadership, “Lok Sevok Sangho” faught against the forced imposition of Hindi language at Bengali dominated areas of the then Manbhum district. “Lok Sevok Sangho” spread out Tusu-Satyagroha Agitation, Bango Satyagroha Abhijan (March from Pakbirra to Kolkata on 20th April 1956 in protest against the unification proposal of Bengal with Bihar). Later, due to constant pressure from the Bengali students and youth, the Bihar state government was likewise compelled to back down. Ultimately, Purulia was acceded to West Bengal from Bihar on 1st November 1956. Given the extent of mass participation in anti-authoritarian social agitation, Manbhum district (now Purulia) proudly stands with countries like Bangladesh, Philippines, Haiti, and many other. He was also the editor of “MUKTI” the first Bengali bi-weekly from Manbhum district till his death. 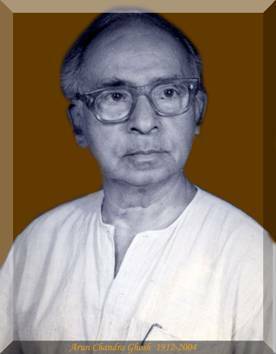 It played a great role during the independence movement and “Language Agitation’ (BHASA ANDOLON).